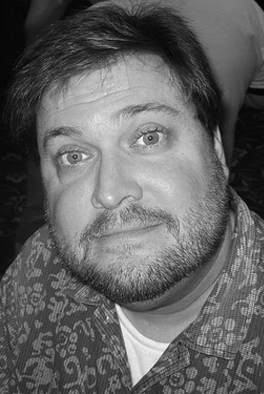 I met editor/author Eric J. Guignard last year in Las Vegas while attending KillerCon. An amiable guy with a great sense of humor and an appreciation for beat-up red Chuck Taylors. We hit it off. So when he asked me if I’d be willing to review his latest anthology, I said certainly. 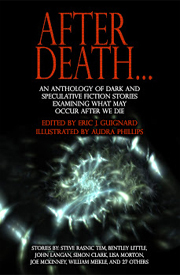 After Death is a collection of over thirty tales, all involving what happens upon the departure from this mortal coil. Some of them are good, others are amazing, and a few are merely okay. The volume opens with Andrew S. Williams’s “Someone to Remember,” which is a wonderful meditation on loss and promises, all threaded through the mythos of Charon, the ferryman. “Sea of Trees,” by Edward M. Erdelac contains some horrific and lingering images and a story that is as jarring as it is resonant. 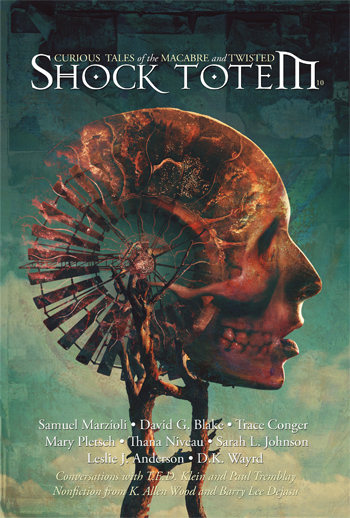 Steve Rasnic Tem, an author I have adored for years, turns in a heartbreaking tale of the abandonment death leaves and those who remain. It is haunting and full of hurt. In “Mall Rats,” James S. Dorr exposes the hereafter as trapped in the after mall. And in “Forever,” the strongest story in the lot, John Palisano weaves a quilt of sadness, loss, and heartbreak that will leave you reeling. I have no words to express the emotions this tale stirs, but stirs it does and quite violently. Brilliant! 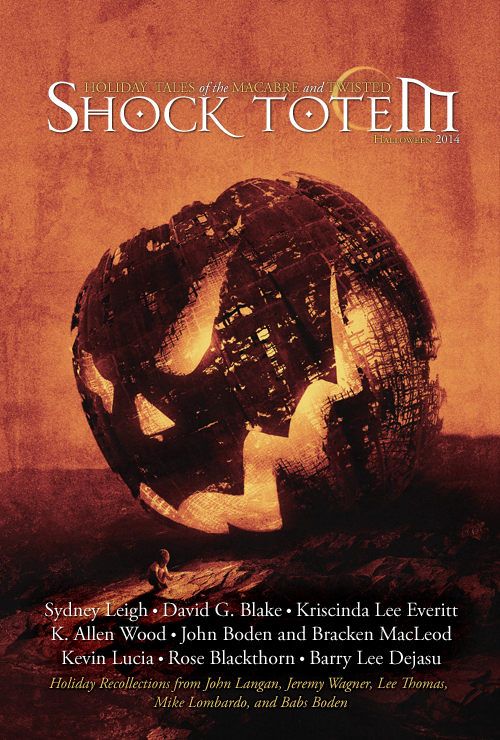 Jamie Lackey turns in the sweet and wonderful “Robot Heaven,” and Simon Clark’s “Hammerhead” is an exercise in reincarnation and revenge that is spellbinding. Steve Cameron gives us “I Was the Walrus,” in which a man follows his past identities to some lofty and surprising conclusions. “Be Quiet at the Back,” by William Meikle, is a humorous parable of the definition of sin and consequence. There are quite a number of tales I didn’t remark on, not because they were poor, but because they just didn’t have the same impact as those mentioned above. That is the rough cross to bear with an anthology. On the whole, Guignard has assembled a great roster of talent—quite a few of which I had never heard of or read before—and given us a rich and heavy menu of possible aftermaths to the grand finale. You won’t be disappointed.